India, a country known for its staunchly low-rise cities, is building up – way, way up with a new wing-shaped, 62-story skyscraper in Mumbai. 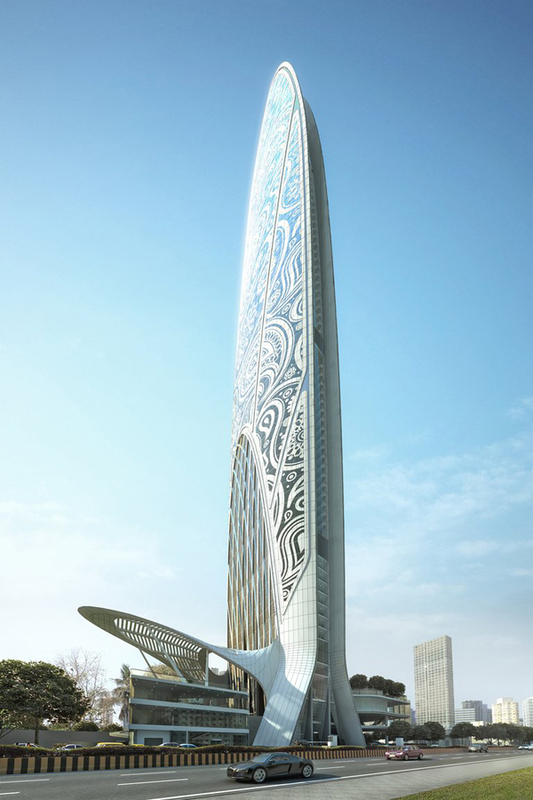 A blend of hotel, office and retail space, the Namaste Tower will be shaped into two wings clasped together like hands greeting, just like the Namaste salutation. The design journal eVolo looked into the stand-out project. Internal gardens will bring greenery into the corridors and atriums and large canopies will support solar thermal collectors that will help power the building. But what really makes the structure so dramatic is its skin. The tower’s designed to offer gala wedding space for the Indian Mehndi ceremony and so the building’s decked out in the traditional patterns that often decorate the bride’s hands and feet in Henna. 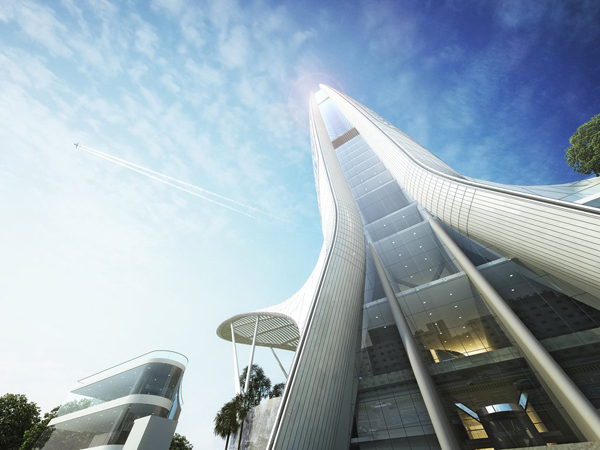 Clad in fritted glazing, the skyscraper will have a sense of transparency and depth. Who envisioned such an unusual building? 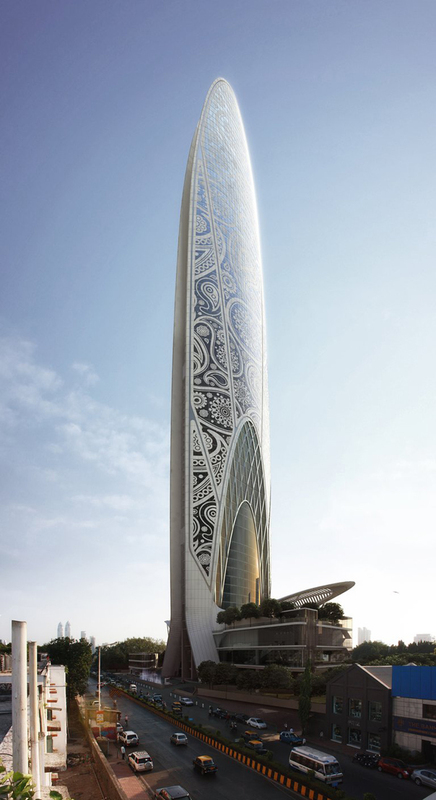 Naturally, architects based out of ambitiously built-up Dubai. WS Atkins are behind the intricate design and they’re no strangers to fanciful developments. 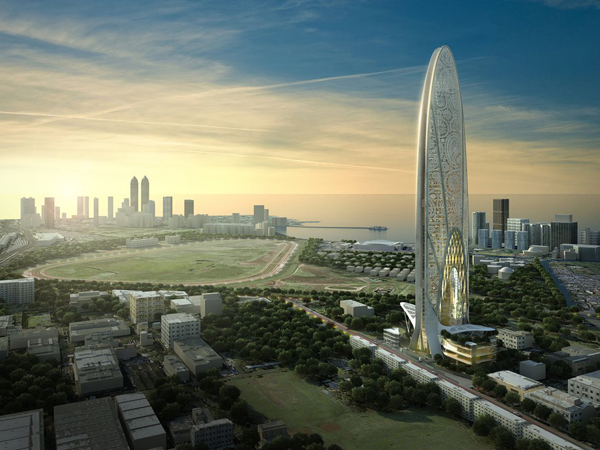 They’ve worked on the Durrat Al Bahrain project in Bahrain, a series of 15 artificial islands (some shaped like horse-shoes, others like fish) and the Lotus Hotel, a building that branches out into five leaf-like sections in China.